By LUDWIG VON KOOPA - It might come to a PC near you. While KoopaTV would've loved to have made a videogame based on the Islamic State of Iraq and Syria, or ISIS, we chose to focus our 2015 efforts on another endeavour. Fortunately for the gaming world, Hatred developer Destructive Creations is filling the void with IS Defense. It's on Steam Greenlight right now, as of Tuesday! The basis is that it's 2020, and the Islamic State went way past just Iraq and Syria and established a caliphate on the whole of Northern Africa and the Middle East. There's some interesting assumed mythos involved here, coinciding with breaking news from today! 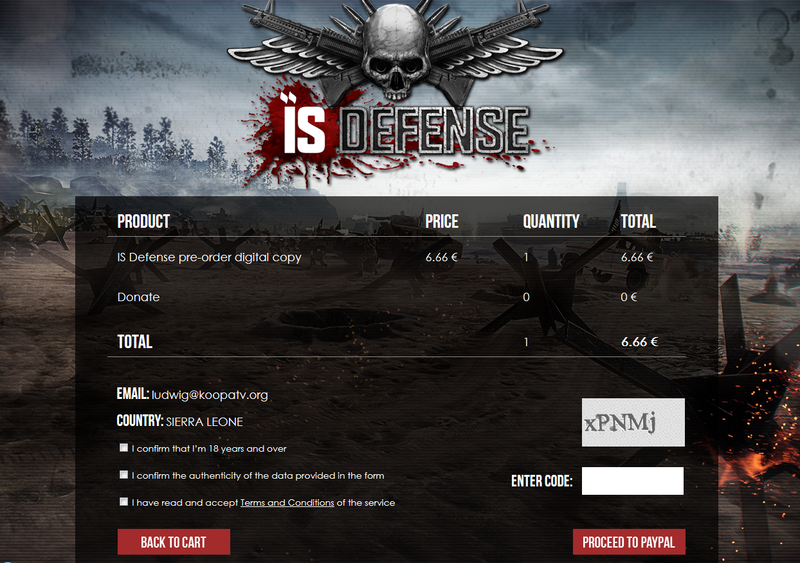 Destructive Creations is a videogame company based in Poland, and IS Defense is a small side project made to spread the developer's opinion on the ISIS situation. Coincidentally, today the country of Poland announced that it would help fight ISIS in a pending capacity contingent on how helpful NATO is with Russia. I guess Destructive Creations got their message across without IS Defense even being out. 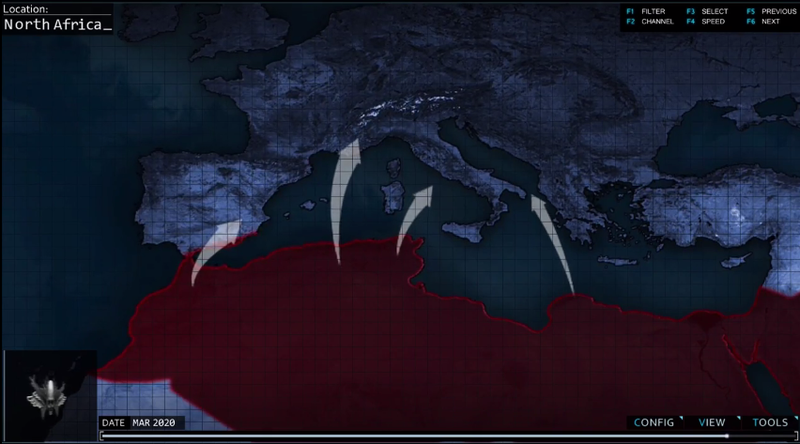 March 2020, Islamic State sails to Europe. For conquest. They're not even bothering pretending to be refugees. Would like to note the trailer ominously jumps from February 2016 (NOW) to four years later. IS Defense assumes that ISIS is taking out the second IS from their name, since they would've expanded far past Iraq and Syria. For the year to be 2020 implies that whoever the next president of the United States is, they really screwed up on destroying ISIS. It's probably Hillary Clinton. Just saying. Since IS Defense takes place in 2020, that means the United States would be taking longer to defeat ISIS than it took to defeat Nazi Germany and Imperial Japan. ISIS doesn't even have over 50,000 fighters, and even that number is inflated by deluded American (and Koopa) girls that decided being imprisoned in a hijab was a good idea. You can pre-order it in 2016, though. If you do so, it'll cost 6.66 Euros. If it gets approved on Steam, it'll cost 6.99 Euros there. I didn't actually pre-order it. But this is what the pre-payment step looks like. ...I really don't see what the problem is here. Doesn't EVERYONE hate ISIS? Some people think this game is just being made for an outlet to go kill “brown people”, similar to idiots who thought Trayvon Tyson's Punch-Out!! was an outlet to go kill black people. This line of thinking loves to miss the point. Others think it's bad form to take advantage of current events to shock people and sell games. What these people don't understand is that it's pretty rare for a current event to last long enough to make a videogame out of it. If you DO encounter one of those events and want to take the risks of being a target of a dangerous terrorist organisation, then by all means you should do it. And be applauded for it. This kind of thing takes courage! And should more than pay off in publicity, especially for the comparatively small amount of time that went into making IS Defense. Ludwig really had trouble this article not spelling IS Defense as “IS Defence.” There's a very good chance that his computer wouldn't even be able to play IS Defense, since it's weaker than President Barack Hussein Obama's foreign policy. KoopaTV did create anti-ISIS-related propaganda pieces when Japan was making memes of it. They got widely shared, so we did our part. Hillary is on her way to the presidency, and she wants to kill everyone EXCEPT ISIS. So this game will probably happen. I did a school project on WWII propaganda cartoons. Sometime afterwards it became less and less acceptable to use the media to show the rottenness of the other side. It may have been because of how much people disagreed with going into those those wars after WWII. Even if (nearly) everyone hates ISIS, the sentiments acquired from years of disagreement about previous wars is influencing this topic as well. I mean, like, almost everyone hates the Nazis right now, too. Even Nazi uniform fetishists don't like the actual Nazis. Nazis are pretty acceptable targets to make games off of, unless you want to publish in Germany and then it gets dicey. From what I can tell, the only disagreement in “ISIS needs to be destroyed” is whether to actually declare war against them or not. Some people believe putting ISIS as the receiving end of a declaration of war would be legitimising ISIS in some way. 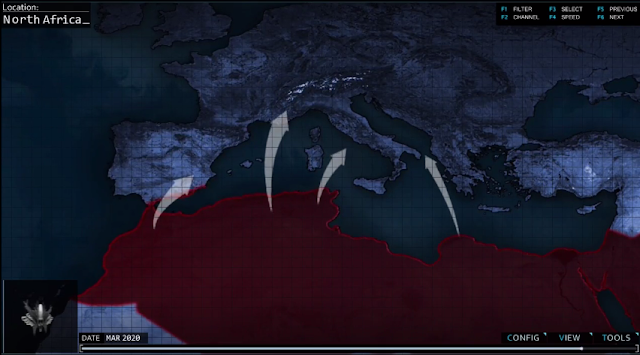 I'm willing to acknowledge ISIS has very real territory gain for a while, in exchange for completely destroying them. Either way, IS Defense isn't about legitimising the enemy or anything. It's about gunning them down. They might as well be zombies, though I hear they do voice-act.